For the final project i teamed up with carter to create an awesome skate edit of us skating at the Durango Skate Park. This was my favorite projects so far this year. I got to follow my passion and create something that i care a lot about. This video had a lot to do with angles and photography as well as timing. Getting the perfect shot, following the skater close enough to get a good angle but not get to close to where your in the way. For this project I decided to do something on skateboarding because that is one of my passions. 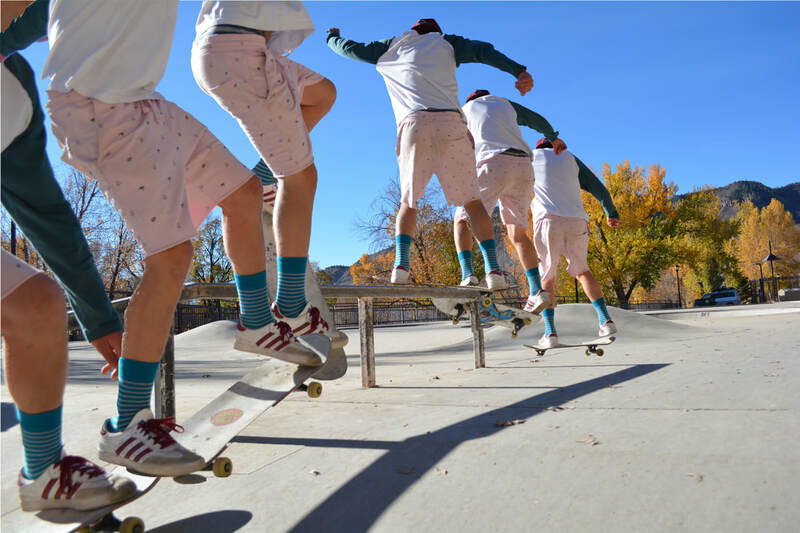 I worked with Carter to create a multi-frame picture of him skating. We went to the skate park every so often and took a bunch of pictures of us doing tricks using shutter speed. After that we went into Photoshop and used it to put all of frames of us doing a trick onto one page so you could see every step of our trick. There is a lot I think I could improve for next time such as using the select tool better to crop the frame better and maybe take the photo from another angle instead of how close I was to it the rail. I also could make it so I take less frames so there not a close together.